VIDAESAL cooperates with a wide range of suppliers of the best known and trusted brands on the market, to guarantee the best value for money and the widest range of current models. Combining shape, colour and function, we meet the individual needs of each client. 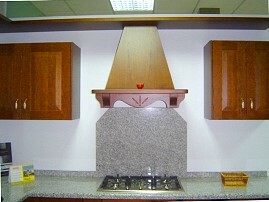 You decide how to combine each item for a kitchen to suit your needs. We choose the most suitable products from our range to install and fit out your kitchen for greatest versatility and functionality to ensure that each kitchen perfectly meets your expectations and requirements. 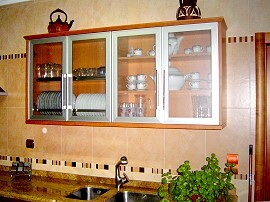 ... And many more kitchens .. The links to the catalogues of our suppliers allow you to download and have an unhurried look at all the technical, aesthetic and functional solutions we have available. 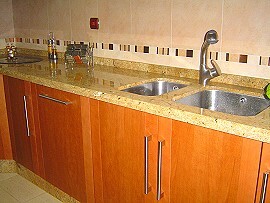 On these photos we show some of our work in kitchens and doors. It is only a selection that does not cover the whole range of our services, models, colours and styles. 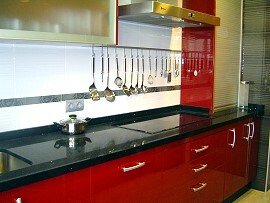 So come and talk with us, we will design your custom-made kitchen!